Bluegills are some of the most popular fish to catch, especially with beginning anglers. They are relatively easy to catch, and freshwater locations will be plentiful with them, so you shouldn’t have too much trouble finding them. In addition, many people find them good eating. The relative ease of catching bluegills makes them terrific sport for kids or someone just learning the basics. Catching a lot of fish will encourage interest in the hobby, and make the beginner want to learn even more. Bluegills are easily identifiable. They are a type of pan fish, and they have a round-shaped body. They are somewhat on the smaller side; rarely getting much bigger than one pound, but they are fun to catch. Their body has amber or olive streaks along the side of their bodies. True to their name, they have a blue or dark purple hue around their gill and face areas. You can find bluegills in almost any type of freshwater, including lakes, ponds, streams, rivers, and estuaries. They prefer shallow water with slow-moving currents or no currents at all, so look for somewhere where the water is relatively still. They are most commonly found in the eastern United States, but they can sometimes be found in other areas of North America as well. The best time of day to catch bluegills will be either in the early morning or in the evening. 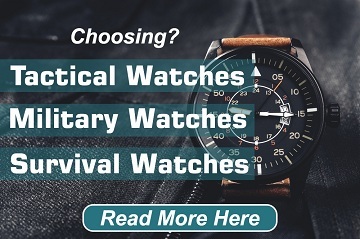 This is the time in which they’re usually feeding, so bites will be plentiful. It is possible to catch bluegills in the middle of the day, but activity will be much scarcer. As far as time of year, you’re going to want to try during the spring and summer. This is their spawning season, so they are going to be very active at this time. If you’re perceptive enough, you’ll even be able see little spawning nests near the edges of reed beds. You’ll be able to find tons of bluegills around those areas, but make sure you don’t drop your line directly on their nests; you will startle them. You can try your hand at fishing for bluegills during other times of the year. There some fishermen that love to catch bluegills during the winter time. They will definitely be much less active during this time, but it is within the realm of possibility. It will require a little bit more finesse, since they’ll be biting more lightly than usual. If you’re too aggressive, or you use line that is too heavy, you’ll scare them off. Look for them near sheltered areas, such as sunken logs, rock beds, or weed patches. They’ll often be hiding deeper than normal at this time. You can typically catch bluegill somewhere between four and twelve inches and one to three pounds. 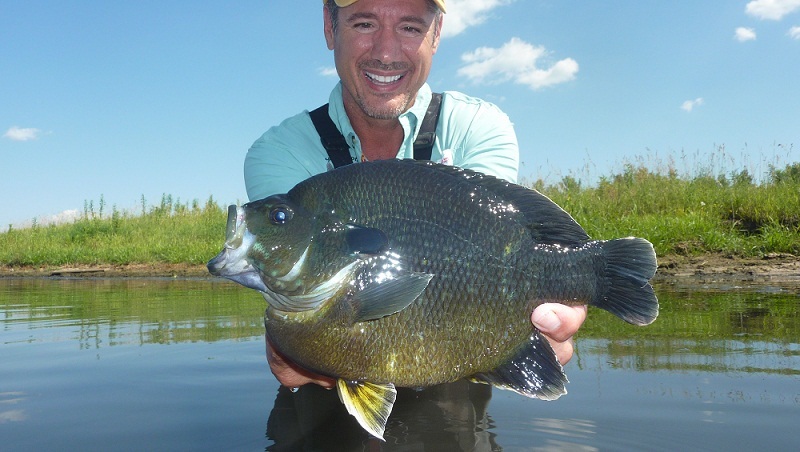 The record size for a bluegill caught is four pounds, twelve ounces. Although they can put up a good fight for their size, you will still want to use lightweight equipment. If you opt for any heavier gear, you’ll just find it’s cumbersome and ineffective, especially if the bluegills (which are very perceptive) notice all that gear you’re clanking around. 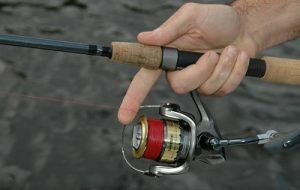 You will want to bring along an ultralight rod with a lightweight spinning reel. You’ll want to use a small split-shot sinker (if you use any sinker at all!) attached eight to ten inches from a small barbed hook. Any larger hooks will not fit in their small mouths. Use monofilament line that has been tested at three to six pounds. Bluegills have very good eyesight; in their youth they usually eat nearly microscopic animals, so they will easily see your line unless it’s very light. Live bait is the best choice for bluegills. As far as live bait goes, they’ll eat nearly anything–meal worms, beetles, earth worms, or larvae. Some of the more experienced anglers swear by using crickets. Crickets are especially irresistible for the bigger bluegills, who have the stomach for larger insects. If you want to catch some bigger fish, go for crickets! If you are going to use artificial lures made of soft plastics. Make sure your lures are small-scale — no bigger than 1/32 of an ounce — because bluegills have a small mouth and they will not latch on to anything much bigger. Bobbers: The use of bobbers is often one of the first techniques taught to children, because they are easy to use, and it is easy to see the results. However, don’t dismiss their use outright because of their popularity with kids. Bobber fishing became commonplace because it definitely produces results, depending on what you fish for. Bluegills are one of those fish that work well with this method. 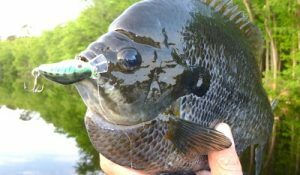 The reason for this is because bluegills don’t like to chase after their food; preferring instead to go after slow-moving meal, and a bobber will allow your hook to stay suspended in the water instead of floating all the way down. As always with bluegills, make sure you use a small equipment, because large bobbers may spook bluegills. Slow Jigging: Jigging is the use of a jig lure or spoon, letting your lure sink to the bottom, and jerking your rod up and down to give it movement. The trick to jigging for bluegills is to make sure your jerking motions aren’t quick and aggressive, but slower and smooth. Bluegills are lazy fish, and will not bother with chasing quick-moving bait. Don’t reel in too quickly, or you’ll just blow right by them. You’re going to have to practice a lot of patience if you’re bluegill fishing. Remember, the best tackle to use is lightweight, so make sure your jig lures are not too large. Trolling: Trolling is the act of drawing your lure through the water, usually behind a moving boat, so that it looks like your bait is swimming through the water. This can be an effective method for catching bluegills, provided that you remember that bluegills don’t like chasing after quick-moving bait, so make sure that you keep your boat motor at a slow pace. Bluegills rarely travel alone, preferring the safety of a school, so if you’re getting bites in one area, chances are there will be more bluegills around. So drift by the same spot over and over until one of them takes your bait. Bottom Fishing: If you want to try your hand at bottom fishing, simply cast out your line and let your bait sink all the way to the bottom, into the mud. Let it sit there for a while, then reel in and try again. Bluegills like slow-moving bait, so if your line sinks down slowly enough, it will be sure to attract their attention, and they’ll make a move for it. Even though you’re letting your line sink to the bottom, you’re still going to want to use lightweight gear, since anything heavier will startle the perceptive fish. Make sure you stay vigilant and really watch your line to make sure you notice if you get hit. Bluegills have small mouth and are notoriously dainty when picking at bait, leading to the risk of it picking off the bait from your hook and making off with it.